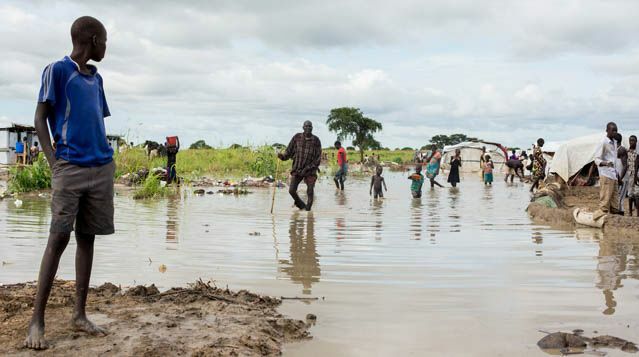 Climate change represents one of the most serious challenges facing Africa in the 21st century. Across the west of the continent, there is an urgent need to develop effective adaptation and mitigation measures, a need that led to the creation of WASCAL, the West African Science Service Centre on Climate Change and Adapted Land Use. Through WASCAL, the expertise of ten West African countries – as well as that of Germany – is pooled to create science-based services. The risk assessment service element is an essential tool for enhancing the resilience of human and environmental systems to climate change and increasing climatic variability. But how can WASCAL’s Risk Assessment Service best serve its national partners? 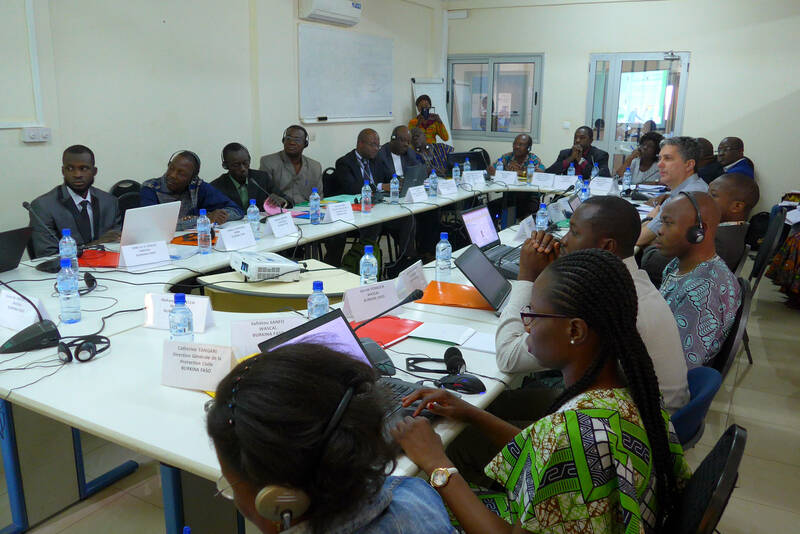 That was the main focus of the Disaster Risk Assessment Workshop, held at the WASCAL Competence Center (CoC) in Ouagadougou, Burkina Faso, at the end of February. The two-day event brought together stakeholders from Benin and Ghana, as well as from Burkina Faso itself, with both national agencies and local organizations and committees represented. Also in attendance were three experts from UNU-EHS, section head Dr. Fabrice Renaud, and associate academic officers Dr. Yvonne Walz and Dr. Erik Tambo. For the past five years, UNU-EHS has lead the risk assessment component of the research programme and has been working in partnership with the German Aerospace Centre (DLR) to develop tools and methods to assess natural hazards, and in particular vulnerability to and risk of floods and droughts, with a focus on three case study areas in this part of Africa: Dano in Burkina Faso, Vea in Ghana and Dassari in Benin. This two-day workshop saw Dr. Renaud present the findings of this five-year research project. This presentation was then followed by questions and a lively discussion on the implications and how this new information can be used to inform enhanced collaboration between different countries and actors. 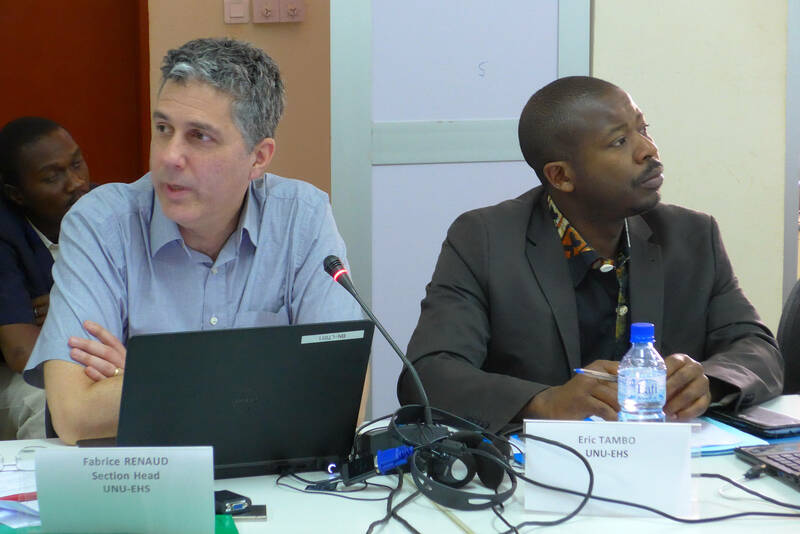 Also at the workshop, Dr. Walz presented a draft version of an upcoming handbook on Risk Assessment in West Africa. This will provide practical guidelines for assessing vulnerability and risk to climate-related hazards, while also serving as a communication tool between countries. Notably, the workshop attendees – all of whom warmly welcomed the production of such a handbook – were invited to give their feedback, sharing with the UNU-EHS experts their thoughts on the pending publication, including what other stakeholders need to be included in its production and, more pertinently, how they will be able to make use of the handbook in their work. The UNU-EHS research project will come to an end in March 2017, with the publication of the first complete version of the handbook for Risk Assessment in West Africa. The handbook is designed as “living document”, which will be coordinated by the WASCAL CoC from April onwards. With this design, the handbook is ready to take up any new approaches, experiences and expertise when applied within the WASCAL region. Through these findings, and the publication they will inform, the WASCAL CoC’s risk analysis portfolio will be further enhanced, giving stakeholders in the region the knowledge and tools they need for regional collaboration and to develop effective adaptation and mitigation measures as West Africa’s farmers face the challenges posed by climate change.